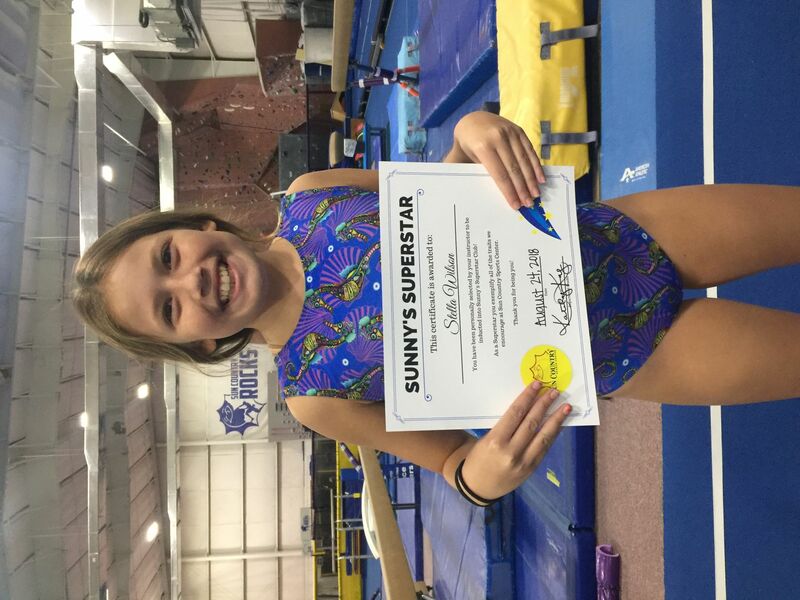 Stella was chosen for this honor because she is incredibly hard working and always makes her coach laugh during practice. 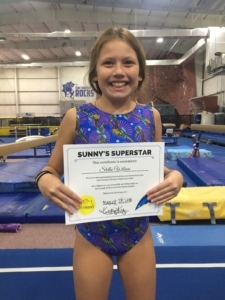 She is part of the Trampoline & Tumbling team, and continually makes awesome progress with Coach Sarah.  We are so happy that you’re part of the Sun Country Family, we wish you the best in the upcoming season! A big thank you to Stella for taking the time to visit with us!